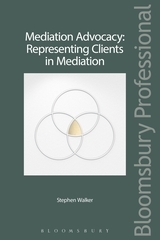 Mediation Advocacy: Representing Clients in Mediation reveals how to get the best out of mediation. 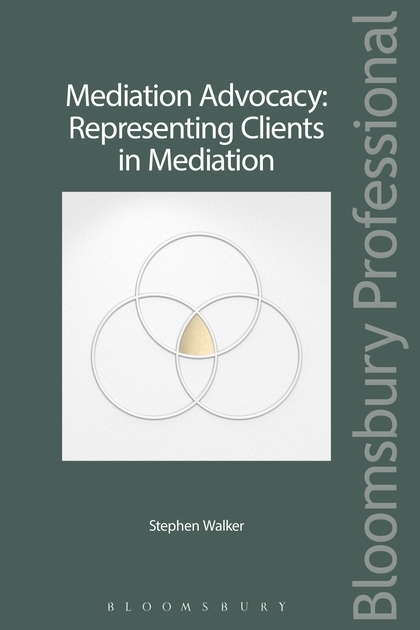 It is a practical, how to guide aimed at those who attend mediations as representatives, clients, experts or mediators. Things you will learn include: what actually happens in mediations; the essential skills for all representatives; the tricks that mediators play; the things you must and must not do as an advocate; how to prepare effectively for a mediation; and the best ways to negotiate at mediation. The core of Mediation Advocacy: Representing Clients in Mediation is civil and commercial mediation, but it also considers family, workplace and community highlighting the ways in which the processes differ. It contains checklists, flow charts, bullet point summaries, precedents and FAQs. Chapter 2 What is Mediation? Chapter 3 Mediators – Who Are They? Chapter 5 What Does The Client Want? Chapter 6 What is Mediation Advocacy? Chapter 8 When and Where to Hold a Mediation: Is It Important? Chapter 17 What Type of Mediator Are You?